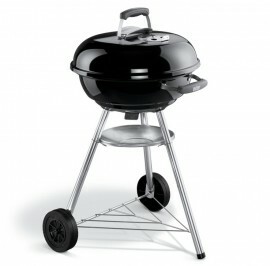 All our BBQs are in stock and ready for you to take away! 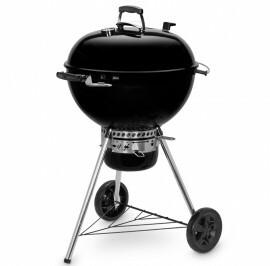 A BBQ is a great way to enjoy a summer day. Cook outside with your friends and family and enjoy the sunshine. We have a BBQ style for everyone, from charcoal and smokers to gas and electric grills, we can supply something of every size for every BBQ enthusiast. Ask a member of staff about the benefits of each product and we’ll help you choose the right one for you, your garden and your lifestyle. 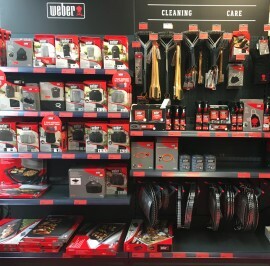 For our full range, please browse the categories below. This ultimate 3-in-1 charcoal barbecue, grills, roasts and smokes low and slow. 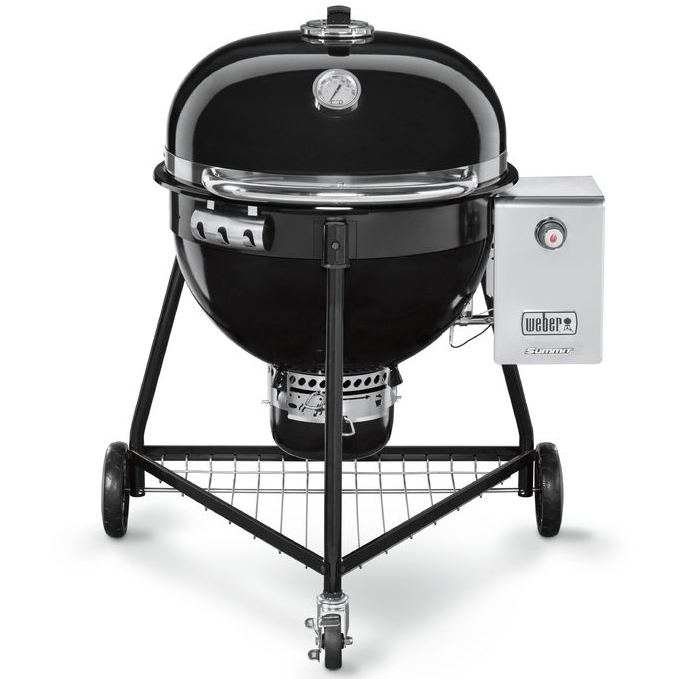 Whether you’re looking to sear the perfect steak (GBS Sear Grate included), enjoy a juicy roast chicken or feast on melt-in-the-mouth pulled pork, this barbecue can do it all. 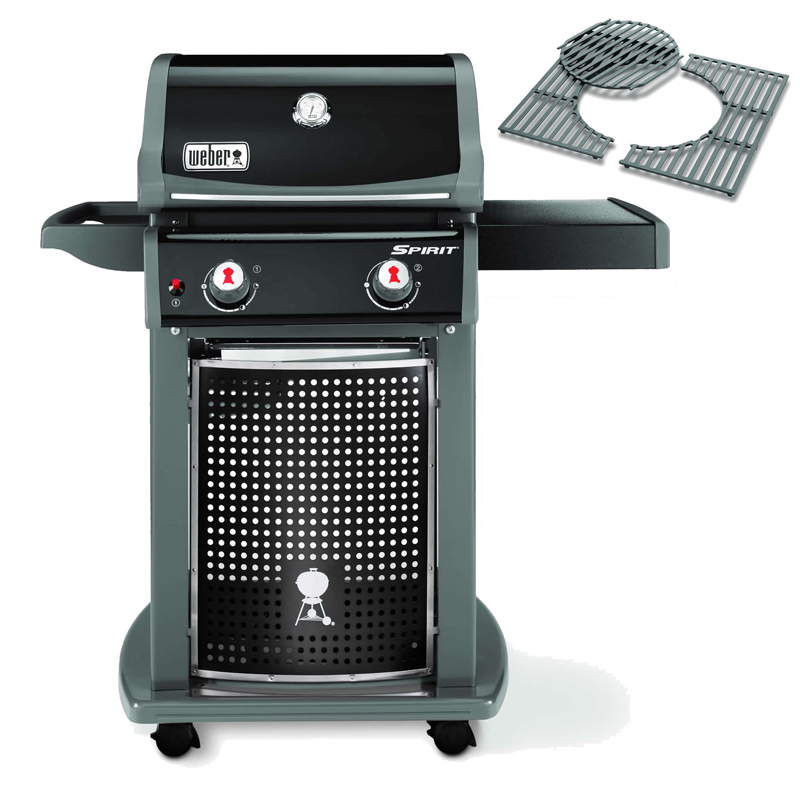 The GBS Cooking grate provides infinite menu possibilities, while the hinged lid leaves your hands free to tend to food on the grill. The char ring and diffuser plate ensure fuel efficiency and create the perfect conditions for low and slow cooking. The menu has been planned and the details considered. 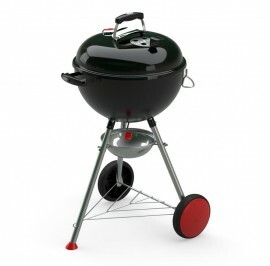 It’s time to light the briquettes, pour drinks, and anticipate the sound of sizzling meat placed on a hot cooking grate. 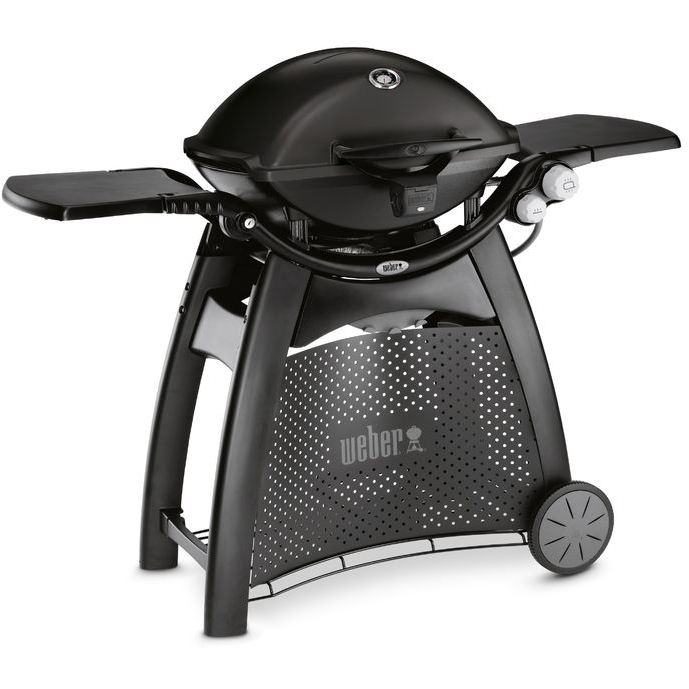 The ritual of charcoal barbecuing meets the innovative features and wow factor of the Master-Touch GBS charcoal barbecue. 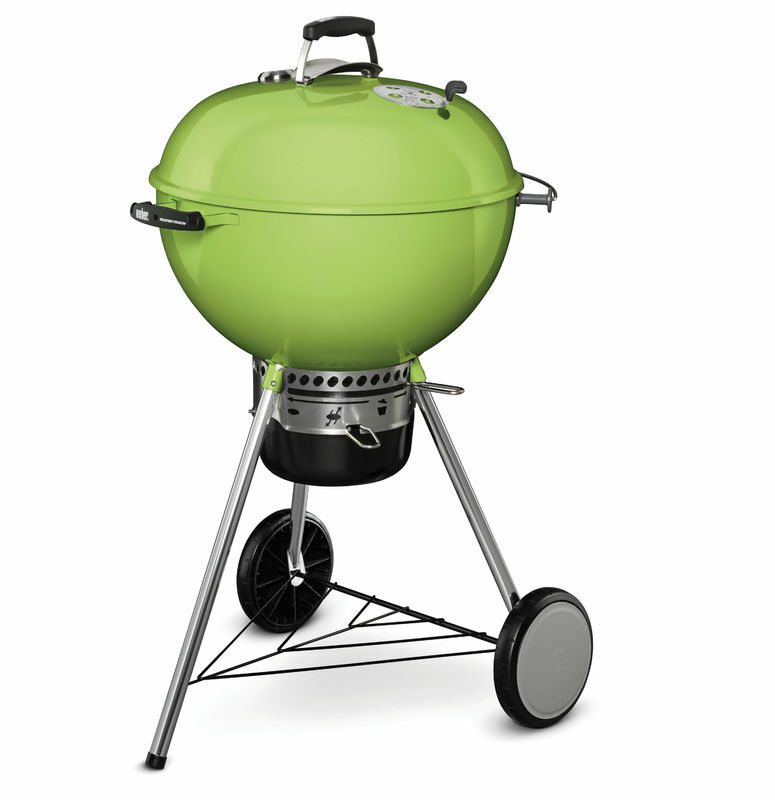 It’s time to barbecue. 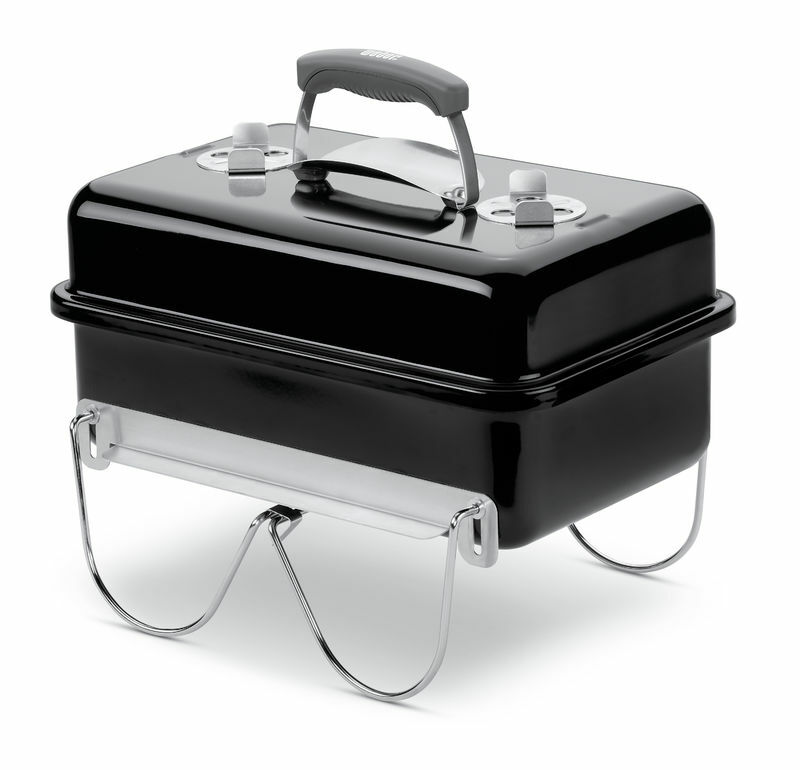 Put on your apron, take out the tools, and get started. Experiment with simple dishes and barbecuing methods or jump right in with a recipe you’ve been craving to try. 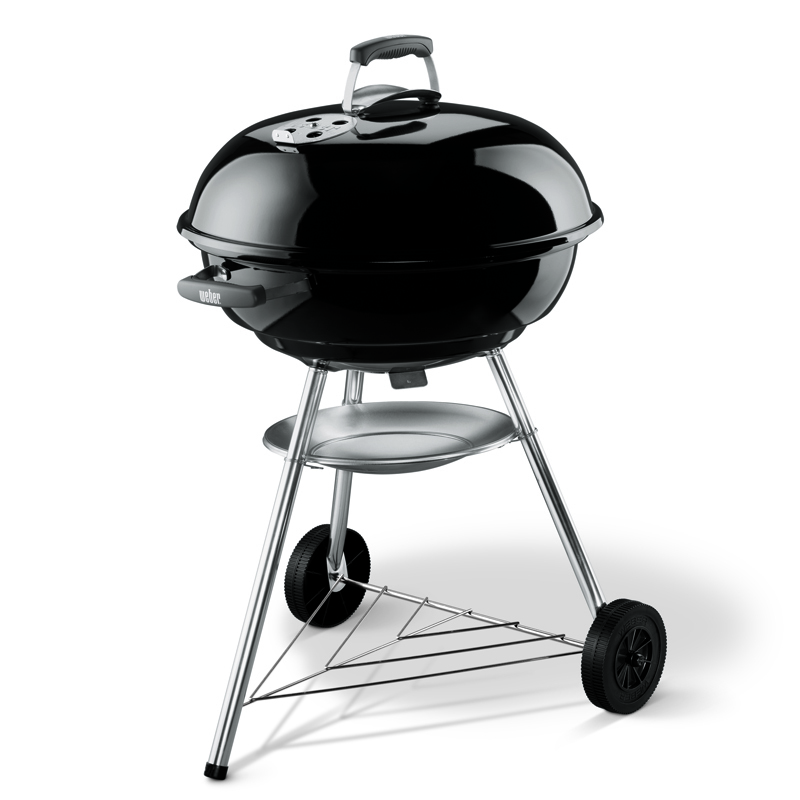 It’s a matter of time before your Compact charcoal barbecue becomes your everyday life. Whether sizzling hot dogs, assembling unique skewers, or roasting tender chops. It starts with taking the first step, and opening up a world of barbecuing with the Compact charcoal barbecue. Discover the taste that you’ll soon be longing for. 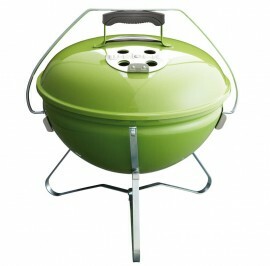 Barbecue in style with a colourful and unique charcoal barbecue. Red accents catch the eye while the smell of smoky meat indulges the senses. Along with a GBS cooking grate the Kettle Plus is a small barbecue that’s big on features. Ignite the flame and welcome in a new era of charcoal barbecuing. 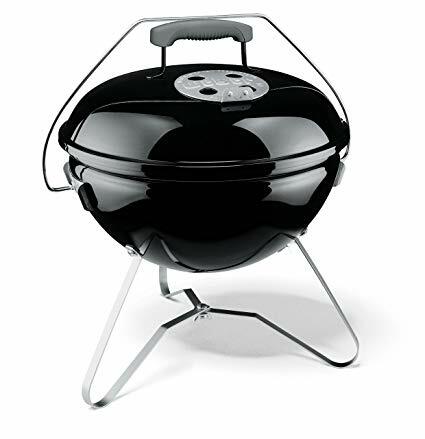 With a push of a button, your coals are glowing and your food is sizzling. All that’s left is to sit back and watch your Performer Deluxe GBS charcoal barbecue in action. 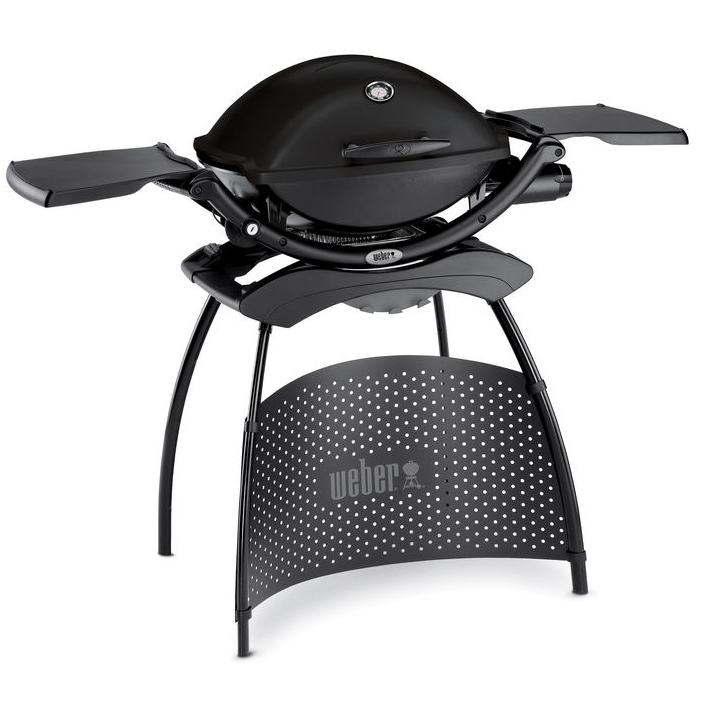 Your back garden won’t know what hit it. 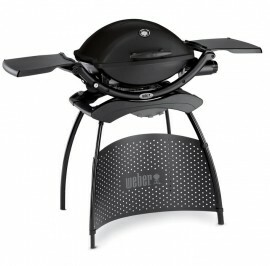 The innovative design and unlimited potential of the Summit Charcoal Grill lands it in a class of its own. 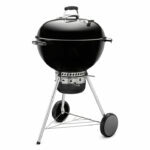 Sear the perfect steak, barbecue a whole chicken, or transform your barbecue into a smoker, creating mouth-watering ribs. 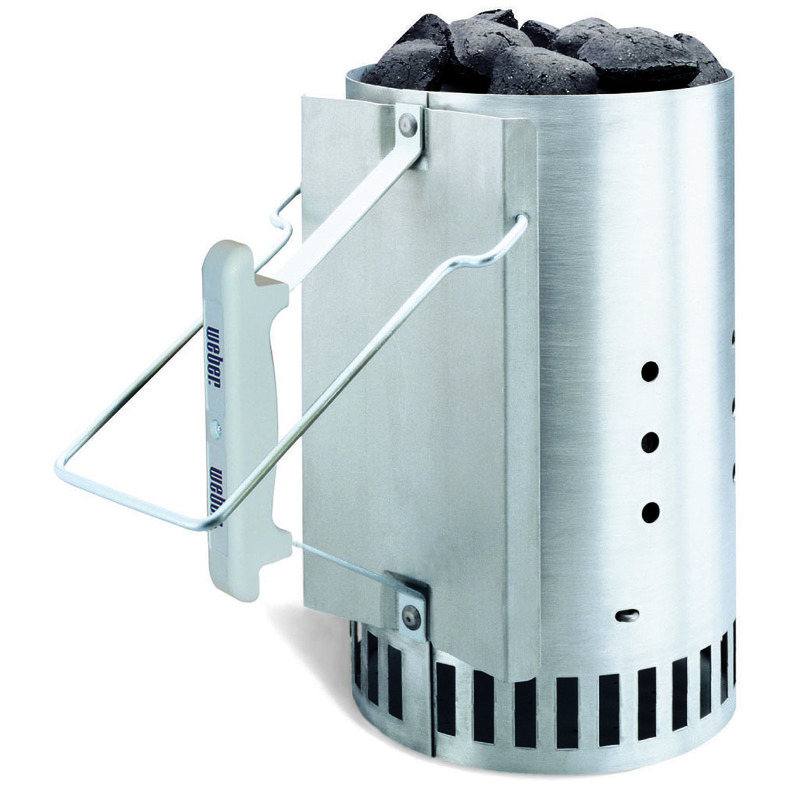 The gas ignition makes lighting coal as easy as pushing a button. 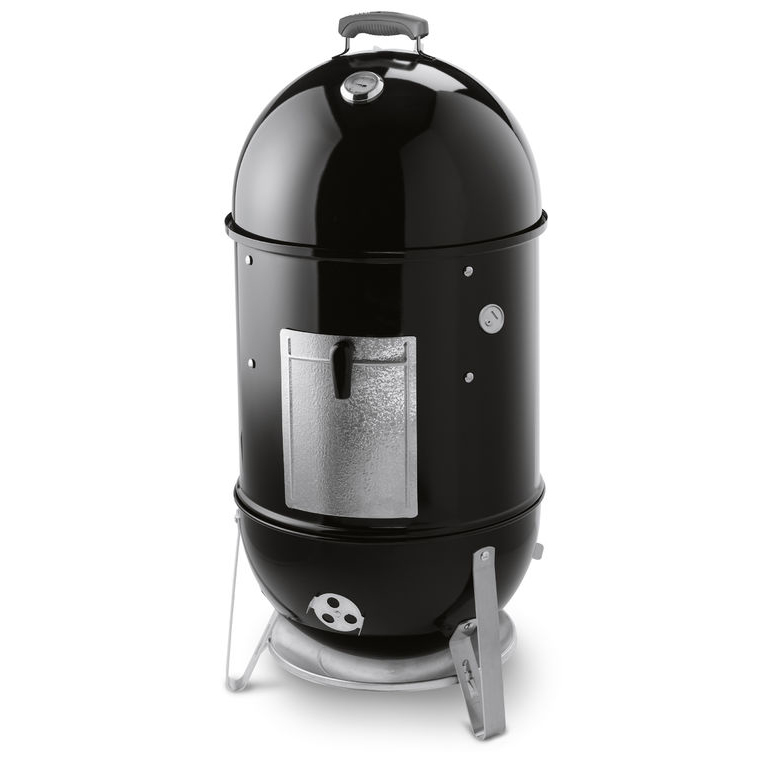 Take in the sweet smell of pulled pork smoking in your Smokey Mountain Cooker smoker. 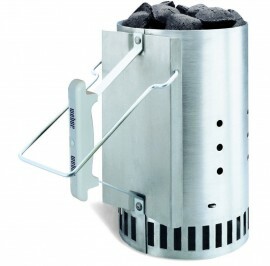 Or head to the lake and smoke salmon over charcoal mixed with apple wood chunks. 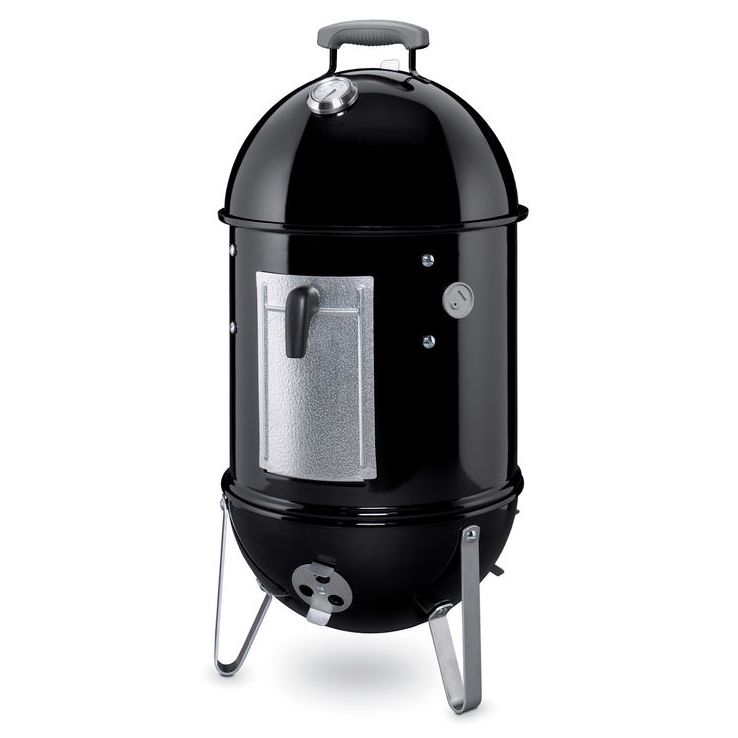 Knowing that with every passing moment, you’re one step closer to barbecue heaven. Let nature set the scene as crisp air bites your cheeks. Complete serenity, with only the crackle of charcoal breaking the silence. Once you grab the handle of your Smokey Joe® Premium portable charcoal barbecue, the opportunity for adventure is endless. Travel with a taste of home. 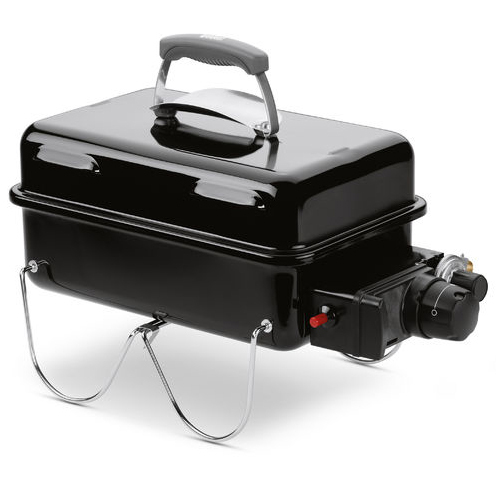 While spending most days on the way to somewhere else, the Go-Anywhere portable charcoal barbecue brings you back, even while on the road. 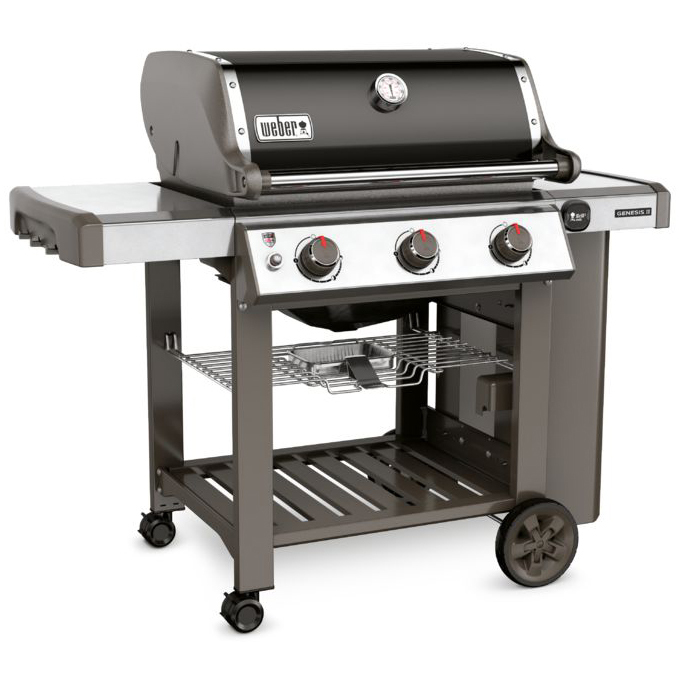 The durable stainless steel finish is sure to make a statement in your garden. 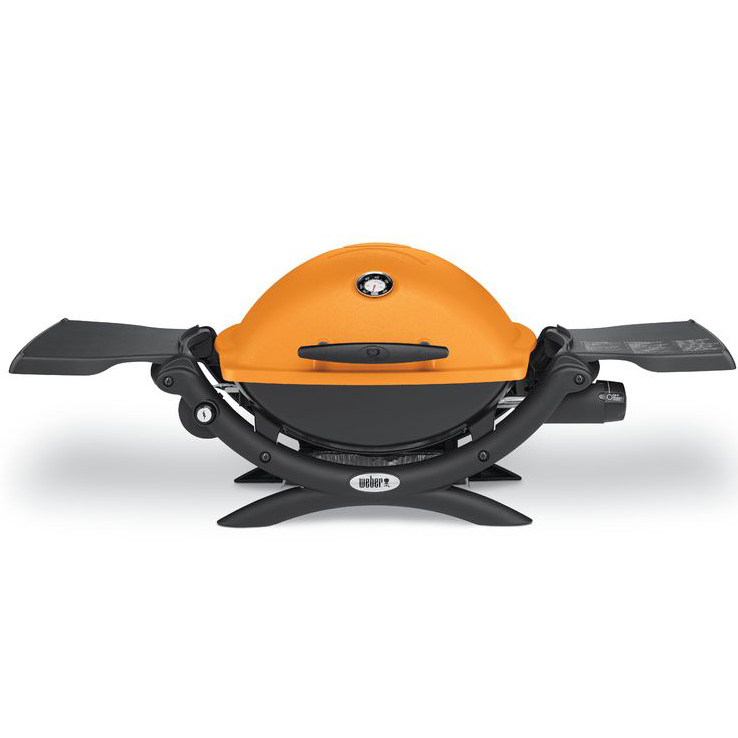 With four powerful burners, large capacity Gourmet BBQ System cooking grate and iGrill 3 smart technology compatibility, the Genesis II E-410 ensures perfect results every time. 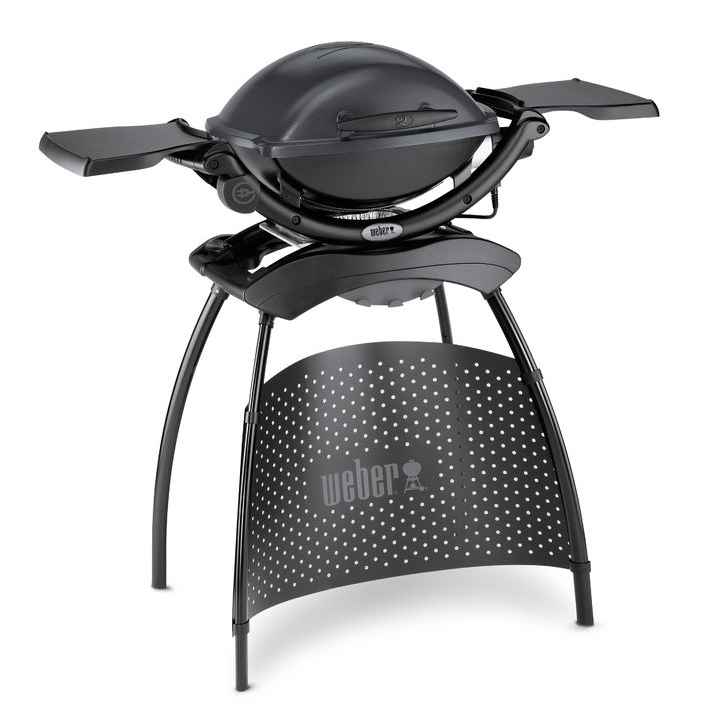 Backed by a 10 year Weber warranty on all parts of the barbecue – the bar has been raised and the standard set. Imagine a fully featured kitchen with stainless steel accents in the comfort of your garden. While the GS4 high performance grilling system works magic under the lid, focus on your specially crafted sauce simmering on the side burner of your Genesis II LX S-340 GBS gas barbecue, as your family anticipates the first bite. Invite everyone you know. Tell them to bring a friend. And watch what happens once all six burners of your Genesis® II LX E-640 GBS gas barbecue ignite. 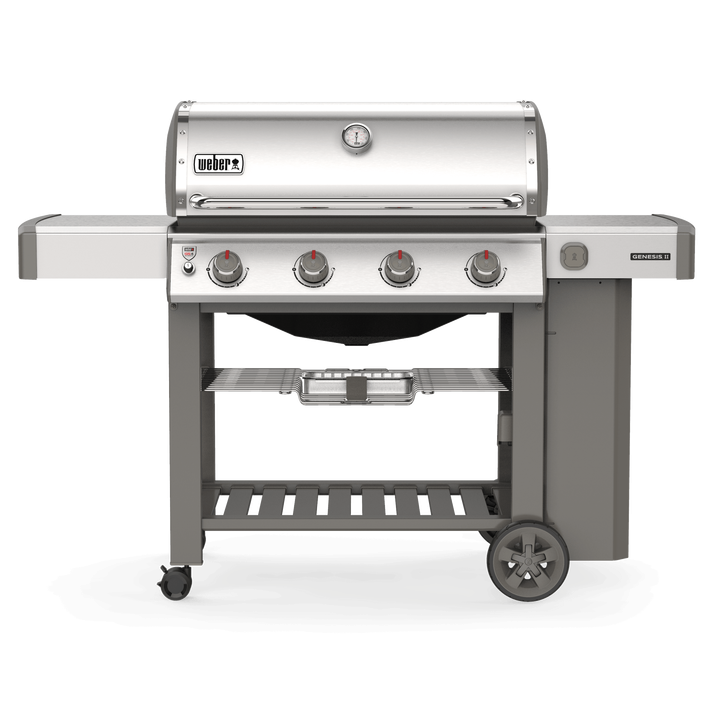 With the GS4 high performance grilling system you can sear a steak for everyone – knowing that each will turn out as flawless as the last. Become the envy of the entire neighbourhood and exceed their expectations. From burgers on the grate to crispy chicken on the rotisserie, or even adding a touch of smoke to your favourite dish. 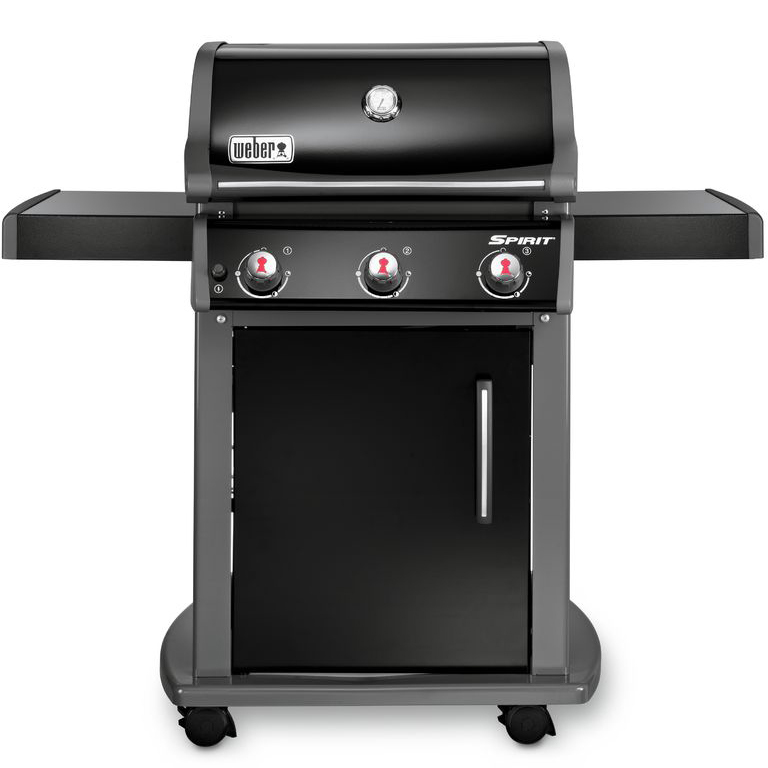 The six burner Summit E-670 gas barbecue will redefine your perception of the classic barbecue. 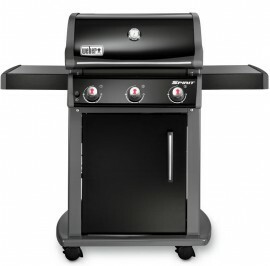 Open your door to the world of barbecuing with the Spirit II E-210 gas barbecue. 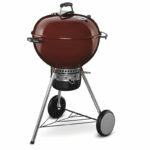 This two burner barbecue is built to fit on a small patio or balcony, and is packed with features. 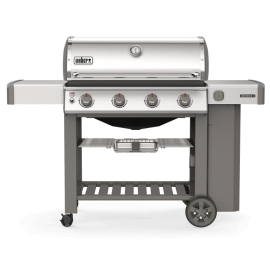 The GS4 high-performance grilling system and iGrill 3 compatibility ensures great results every time, while the Gourmet Barbecue System grates give you endless menu possibilities. 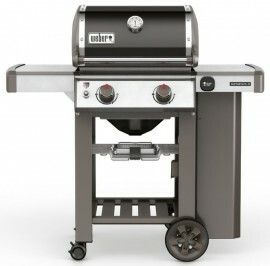 Welcome to the Weber family. 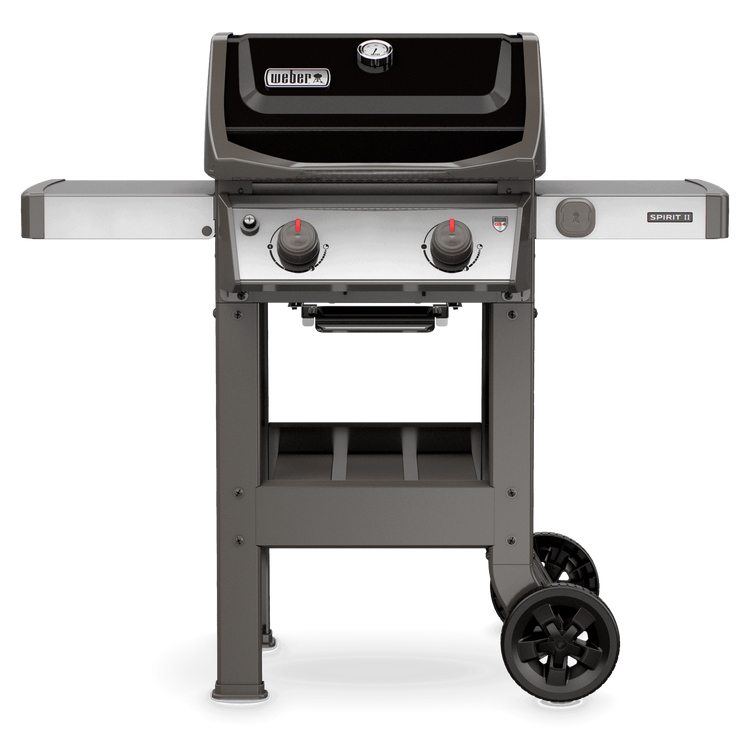 Step up your barbecuing game with the Spirit II E-310 GBS gas barbecue. This three burner barbecue has a spacious cooking area – sure to feed the whole family, and includes Gourmet Barbecue System grates for endless menu options. With the powerful GS4 high performance grilling system and iGrill capability too, you’re set up for barbecue success. 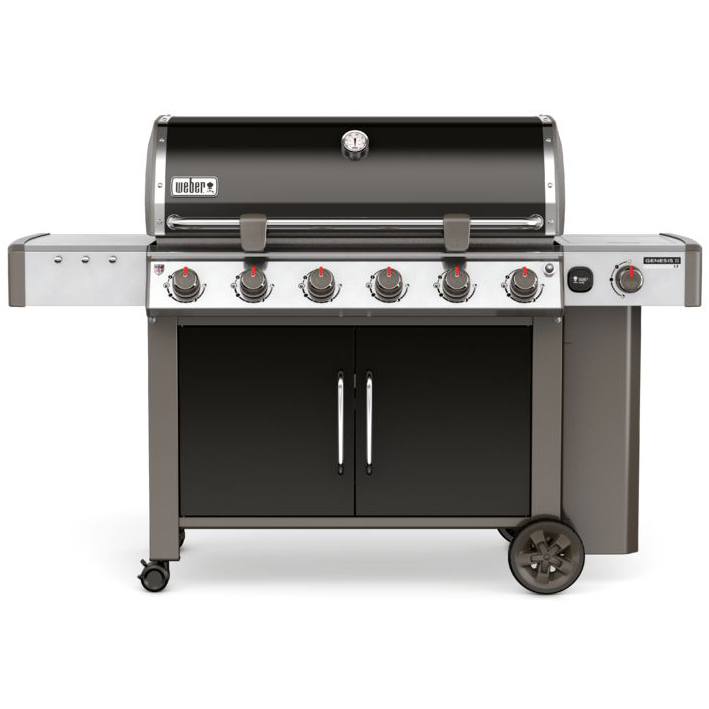 This sleek, stainless steel, three burner gas barbecue has a spacious cooking area, a side burner for simmering sauces, convenient side tables for placing serving trays, and Gourmet BBQ System cooking grates for superior results and amazing sear marks. 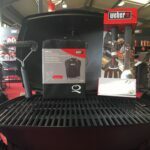 The convenient tool hooks and open cart are perfect for storing and hanging barbecue accessories so that everything you need is close at hand. 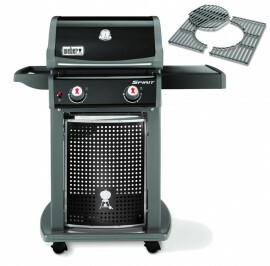 With this grill, every evening becomes an experience to look forward to. Serve fish, steaks, vegetables or veggie burgers. Dare to do something new or enjoy tried and tested favourites. 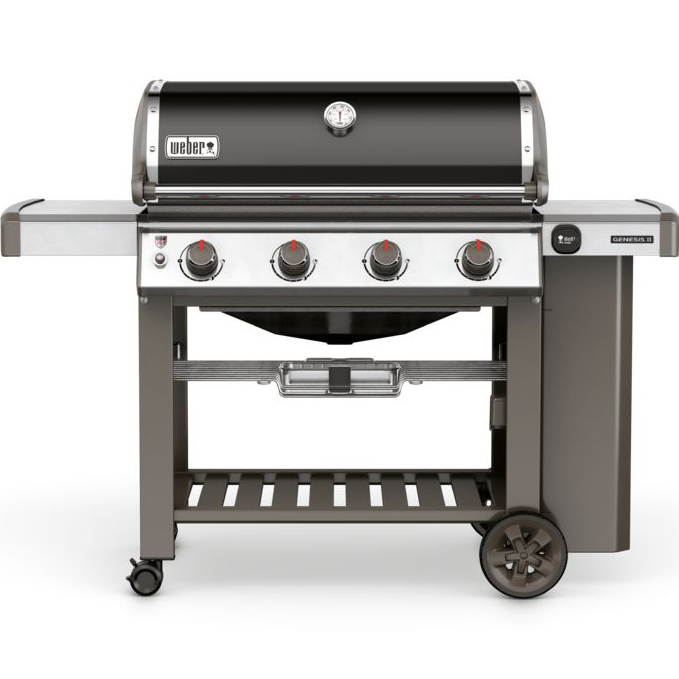 The two burners offer great performance and the Spirit EO-210 provides an ideal starting base for delicious grilling results. Add flavour to the menu and spark to your life. 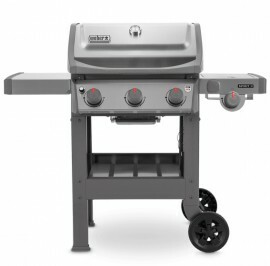 The Spirit Original E-310 gas barbecue is ideal for entertaining a small crowd or a perfect solution to any family meal. Place serving trays and spices on the side tables so that everything you need is where you are, when you need it. 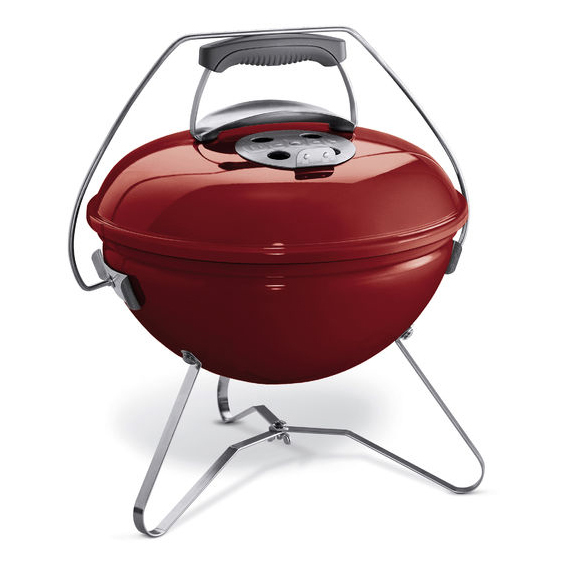 Go hiking in nature with a barbecue as vibrant as the scenery. 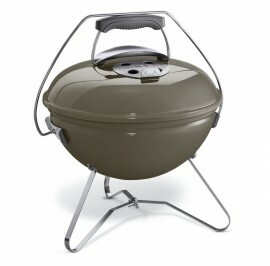 Travel on or off the beaten path, camp in the woods or near the shore. 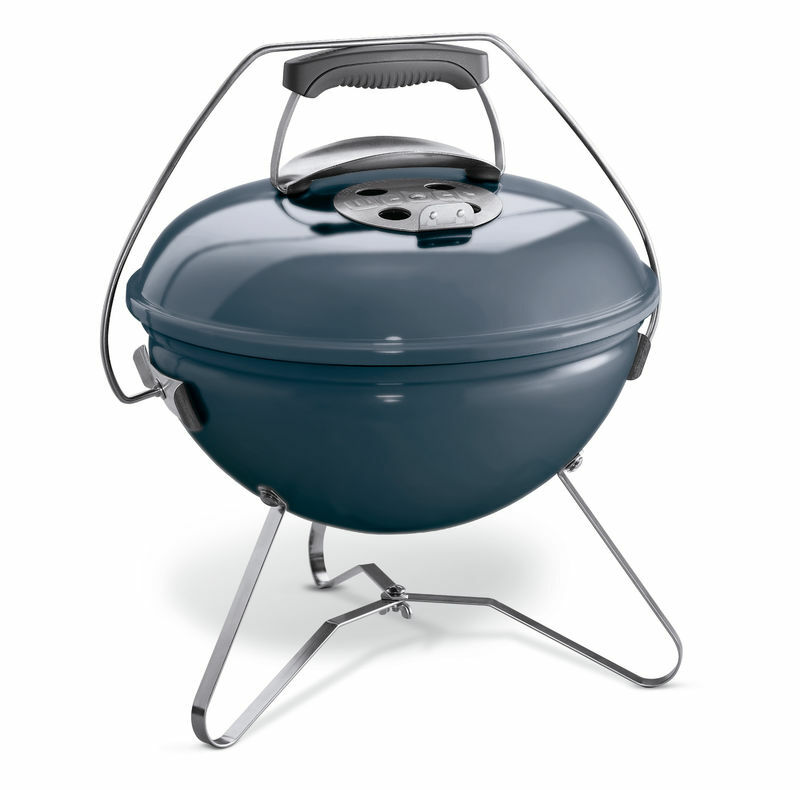 Explore the world with big taste and your Q 1200 portable gas barbecue by your side. Create your own little grill oasis with a barbecue as vibrant and convenient as your grilling ambitions. 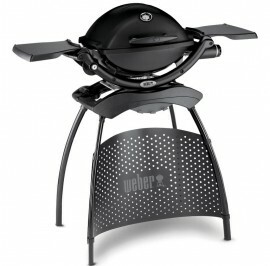 Let steaks sear on the grate while you toss together the salad on the sidetable of your Q 1200 gas barbecue with stand. 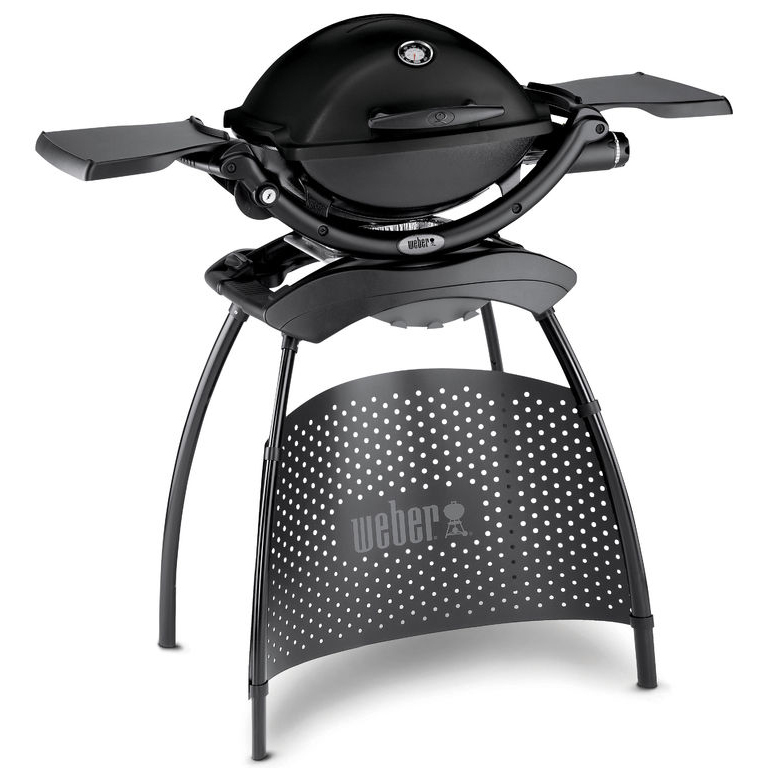 Small enough to fit a balcony, comfortable enough to make grilling an everyday event. It’s the little things that make life feel big. Barbecue a quick afternoon lunch of burgers and hotdogs, or a fish fillet for dinner. 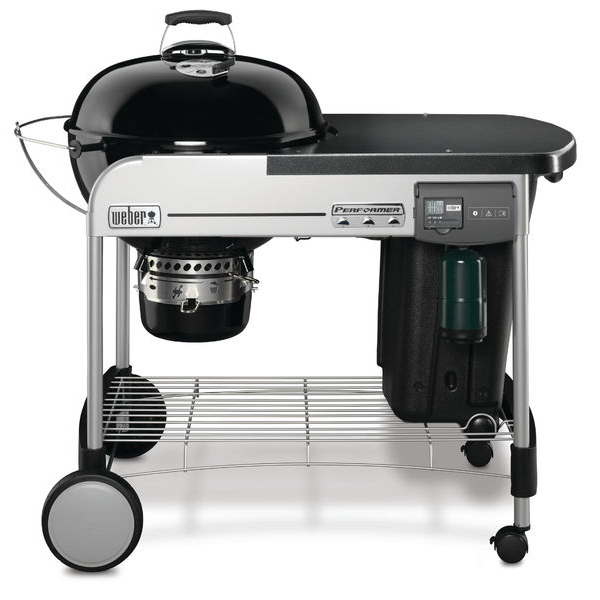 The Q 2200 gas barbecue is an easy solution for any meal. Discover the best of all worlds. A modern gas barbecue that sits pretty on your patio, with the power of two burners. Small enough to fit in a smaller garden yet big enough to barbecue an entire roast. 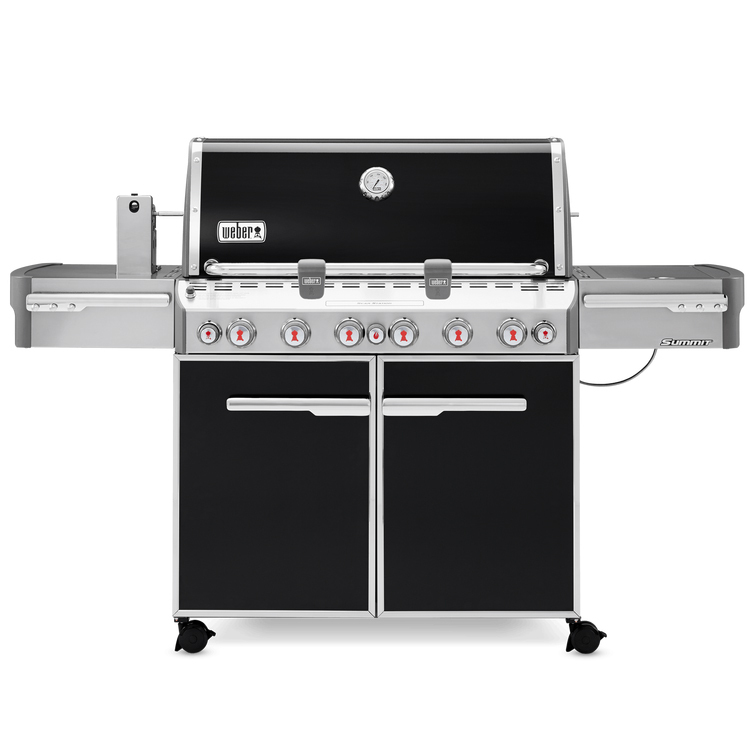 Explore your options with the Q 3200 gas barbecue. The freedom to go anywhere, curiosity to explore, and ambition to bring big taste to any adventure. With your Go-Anywhere gas barbecue in the boot and a map in your hand, there are no limits to the open road. Step outside and enjoy the sunshine on your inner city balcony. Where gas and charcoal are restricted plug in your Q 1400 electric barbecue and experience how easy barbecuing can be. 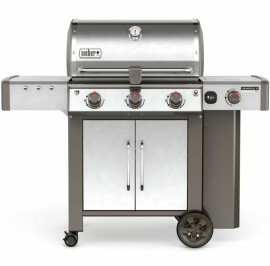 Barbecue salmon and veggies or burgers and hotdogs. Whatever your taste, however you feel, your Q barbecue and a flavourful world are waiting right outside. Colour: Dark grey. 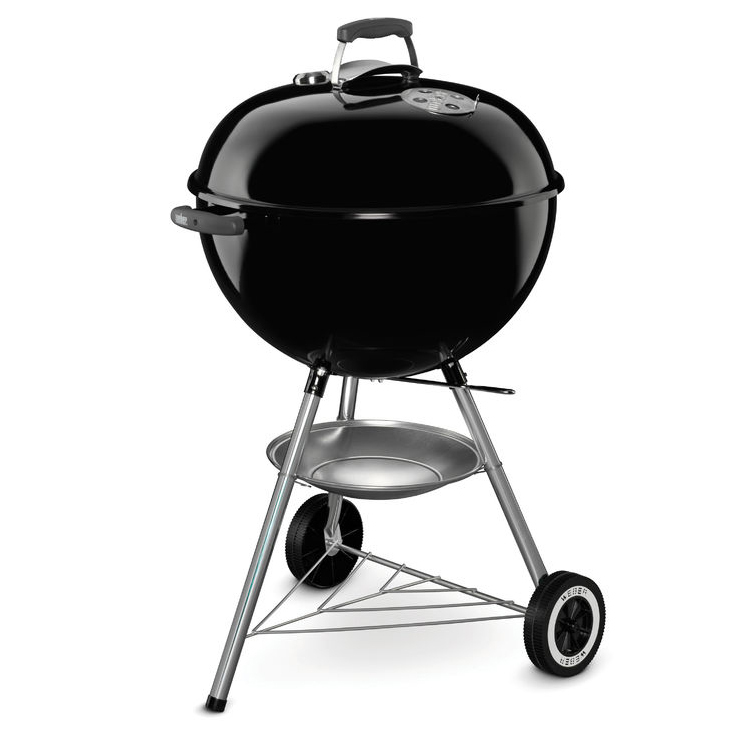 Relax while you’re firing up the barbecue for this special night. 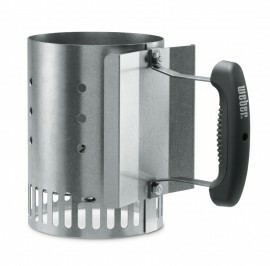 With the rapidfire chimney starter set you have everything that you need in order to get the barbecue started. 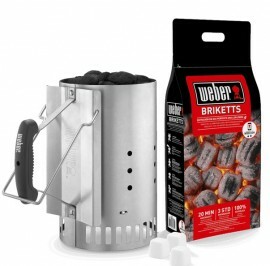 Fill the chimney starter with briquettes and soon after you’ll hear the mesmerising crackling that means a great meal is only moments away. 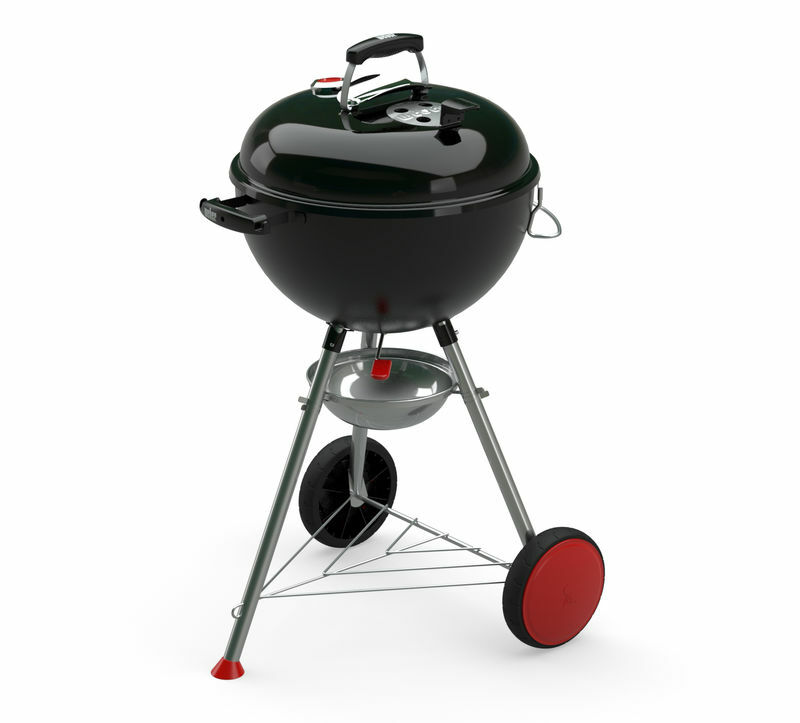 It’s time to get barbecuing! The quickest way to crackling briquettes and the nostalgia of charcoal barbecuing starts with one simple, yet amazing, tool. 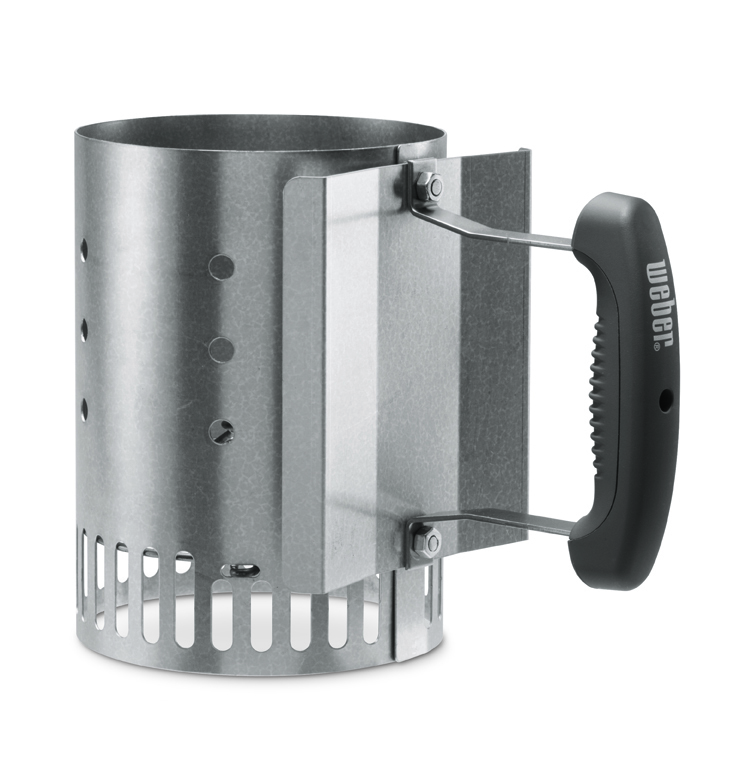 Every barbecuer’s essential sidekick, the Rapidfire Chimney Starter, is the fastest and easiest way to get barbecuing and start eating. Not your run-of-the-mill poultry roaster. The versatile, 2-in-1 design of the Gourmet BBQ System Poultry Roaster empowers you to barbecue your bird and sides at the same time. 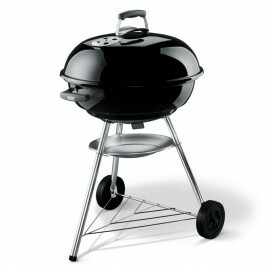 Prepare a crispy yet moist chicken at the centre of your barbecue, while vegetables cook around the rim. 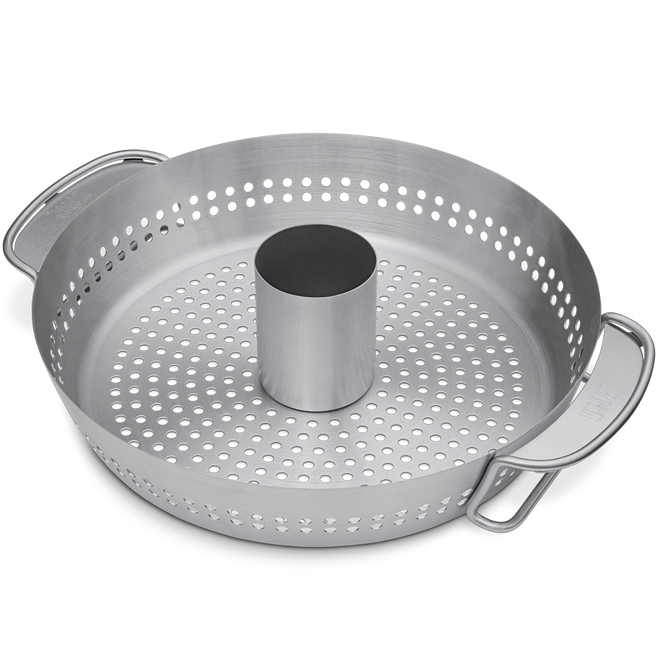 Fill the centre liquid container to make a succulent roast chicken, or remove it to use the entire pan for cooking vegetables or sides. 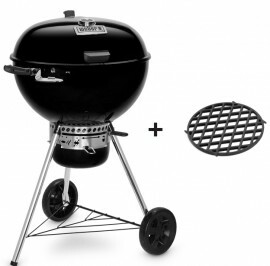 Flip burgers, turn sausages or hold beef brisket in place for a steady slice. 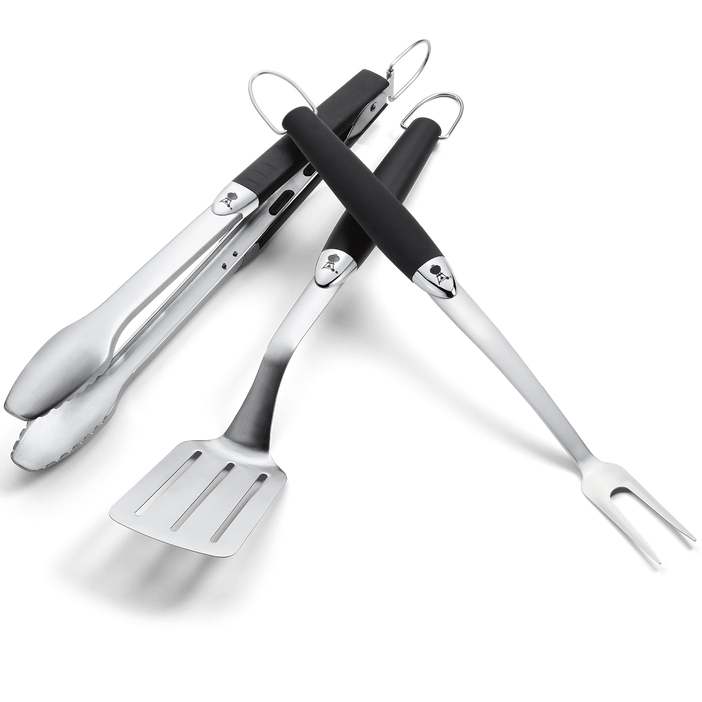 The angled spatula, hands-free locking tongs and sturdy barbecuing fork that are included in the Premium Tool Set are three of your everyday essentials.